Núria Picas is a fire-fighter, mountaineer, long-distance runner, and anything she puts her mind into. 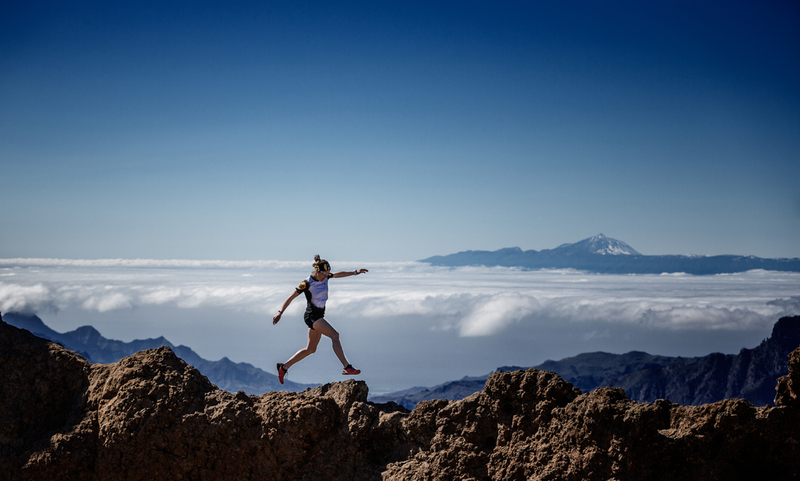 Double champion of the Ultra-Trail World Tour, Picas has won highly competitive races such as the Transgrancanaria, the Ultra Trail of Mount Fuji, the Buff Epic Trail or the Ultra Pirineo, where she has won four times. Now, she combines training around Catalonia with motivational talks. With a smile, she talked to a packed auditorium about how she faces life with the spirit to overcome any challenges that she decides to tackle. Hard work shows, behind any milestone there’s a lot of work. It’s crucial to set goals and fight to achieve them: if you work hard, in the end, you’ll reach your goals. My philosophy is work, work, and work. Work and believe you can achieve your goals. How do you overcome the pitfalls of life? Life has good and bad times. The good moments are very easy to overcome but I think that the bad times help us grow. We must be strong and determined to overcome obstacles and, in the end, they make us learn and be better. Sometimes, it’s good to take a step back to jump ahead. My selection of idols is a mixture of many different people, both athletes, and non-athletes. I don’t have only one reference: I try to see the best in each person. What advice do you have for people who want to become professional mountaineers? To beginners, I’d recommend starting slowly, step by step. You must to set reachable goals, plan well and work. Your goals must be difficult but not impossible, and little by little everything will fall into place. Above all, you need to enjoy what you do and not obsess over time and being the best, that’s unnecessary pressure. You have to go out and enjoy each training: you’ll end up improving. Are you afraid when you are alone on the mountain? There are many lonely moments running at night! Once, during the Ultra Trail of the Mont Blanc, where there’ over 2000 runners, I looked back and front and didn’t see any lights: I was completely alone running in the middle of the night through the Italian Alps. But what could happen? There’re no bad people in the mountains! You could be unlucky and injure yourself … I suffered pneumonia at 7800 m, in Makalu, the fifth highest mountain in the world. That was a very delicate moment in my life but I learnt from it. I was alone and realized I had to get myself out of there to survive. Since then, when I’m running on the mountain and there’s a problem, I think I can overcome it. Now with phones everywhere, it seems that a call can solve everything, I feel we are losing the adventurous feeling, which is a shame! If you weren’t an athlete: I’d be a firefighter, but I already am!